The Fitbit Flex may have been superseded by the Fitbit Charge duo and the Fitbit Surge, but the budget-friendly Flex is bound to still be a big seller for Christmas 2014 and well into 2015. So if you’ve recently unwrapped a Fitbit Flex, or you’re thinking of buying one then you’ve come to the right place as we’ve created the missing manual for squeezing out extra smarts from your Fitbit fitness tracker. At Wareable we’ve spent time living with the band to bring you the answers to the big Fitbit Flex FAQs, and generally give you a handy manual crammed with information on how to make the most of the Flex’s best features, plus a few hidden gems. 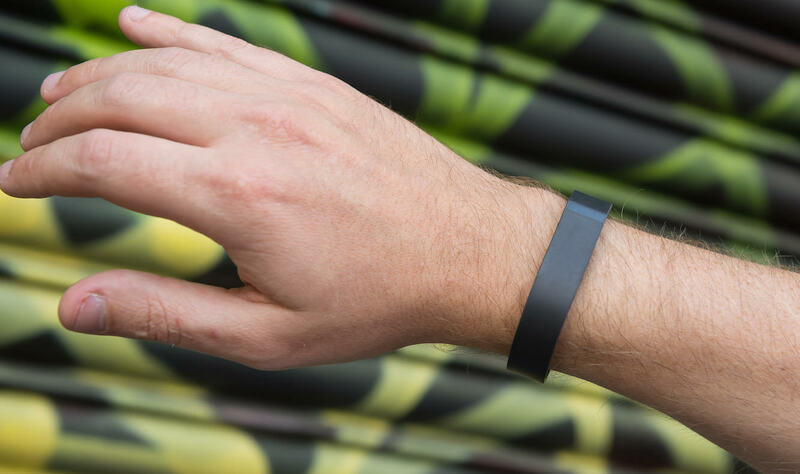 Read on to become a Fitbit Flex master. As your dominant hand will be moving more than the other, it will also provide more data, however not all of this will be relevant, which means your Flex needs to calibrate itself accordingly. When you’re in the app, you can tap on the large icon at the top of the home screen and then select a wrist. Just tell it which arm you're wearing your Fitbit on. Opting for the dominant limb is fine, but the machine needs to know so it can adjust its sensitivity to account for the extra motion. The MobileRun feature, added in January 2014, uses GPS data to more accurately track your walks and runs, offering up info such as pace per mile, distance travelled and a map of your precise route. You can also control your iTunes playlists from inside the app. To start using MobileRun, go into the app and select the Exercise from the home screen. Then tap on the small stopwatch in the top right and you should soon see a map of your location. Then just hit Start when you're ready to track your run. If you're planning to record the food and drink you've gobbled and quaffed throughout the day, you're best off using MyFitnessPal's database, which is impressively extensive. Connect your MyFitnessPal account to your Fitbit account and your daily calories intake will be sucked into your Flex stats for a better picture of your overall health and wellbeing. When it's time for bed, you can put the Flex into sleep mode in order to track those zzzs. But if you wake up realising you forgot to do so, don't fret - you can still track your night's sleep. The Fitbit Flex is always recording, so you can add a new sleep record for the night you missed via the app. Just fire it up and tell it when you went to sleep and when you woke up and, hey presto, your lovely sleep data will all be there, showing you when you were most restless and when you were in your deepest sleep. Tap as you might, it can sometimes be difficult to get the Fitbit Flex to go into Sleep Mode. Before you reach for cups of cocoa, bedtime stories or start counting sheep, try tapping on the curve above the light display rather than on the space below it. The Flex is often more responsive to touch input on this part of the device, despite it seeming less obvious. The Flex will guess your stride length based on your height and gender, but it's better to actually enter this value yourself in order to guarantee better accuracy. You can change this value under Personal Info on the Fitbit dashboard. Measure your stride using a tape measure or piece of string and try to give Fitbit the most accurate stride length you can - it'll make a big difference in the long run. When performing a stationary activity, the Fitbit Flex will occasionally think you've dosed off for a nap. Don't worry if that's the case, as you can review these activities and label them appropriately. Just go into your sleep records, find the recorded activity and label it correctly to whatever you were doing (driving, pushing a stroller, whatever) and it will correct itself. You can alter your daily step goal but the feature is slightly hidden away. You need to open the Fitbit software and then make sure that you have a tile for steps displayed on the dashboard. If it isn't already, click the small green menu tap at the top left and tick the Steps box. Then, once it's on the dashboard, click the small gear icon in the bottom left of that tile. Your weekly goal will be set to 70,000 steps by default but you can now adjust the daily goal to whatever you so wish. And it doesn't have to be steps; you can change it so the status lights indicate another value such as distance or calories. The Flex is designed to sit comfortably on your arm, but those wristbands do wear down quite easily. Luckily the Flex is actually just a small pill-shaped device that sits in the main part of the wristband. You can easily take it out of one wristband and place it into another. It's recommended that you get a couple of extra bands as backup as you don't want to be caught out and left waiting around for a new wristband to ship. When enabled, all-day sync will mean that your Fitbit is syncing automatically with your paired device throughout the day. It's a feature that's enabled by default, but it will drain the battery of both your Fitbit Flex and paired device, so you may want to disable it in order to save some juice. Just tap on the Flex tab at the top of the app home screen and toggle all-day sync so it's off.